If you are disabled and unable to work on a regular basis we can help you obtain Canada Pension Plan benefits and other disability benefits, even disability benefits that may have been declined by your insurance provider. Are you suffering from a serious and debilitating illness, disability or injury that is preventing you from working? Have you paid for Long Term Disability (LTD) Insurance coverage but your insurance company has denied your claim of disability? Do you need assistance in filing for Canada Pension Plan benefits? Have you avoided contacting a lawyer because you thought lawyer fees would be prohibitive? Our Guelph Disability Lawyers understand the position you are in and we are here to help you? The purpose of long-term disability coverage is to provide an income when you’re temporarily unable to work or permanently disabled, due to an illness or injury. Many employers provide long-term disability (LTD) benefits under the employee benefits plan, but you can also buy LTD coverage directly from a disability insurance provider. Independent/personal LTD plans provide more flexibility in terms of desired benefits. LTD insurance generally pays 60 to 70 per cent of your income up to a maximum amount, as defined in your policy. Under most LTD plans, you are entitled to receive benefits for a specific period, typically 2 years, if you cannot perform the essential or main duties of your current job. After 2 years or the stated period, you are entitled to benefits if you can’t perform the main duties of any occupation for which you’re reasonably suited in terms of your education, training or experience. Also, some LTD plans require persons to participate in a rehabilitation program set out by the insurer, with the goal of shortening the time you are absent from work. If you become injured or suffer from an illness that interferes with your ability to do your job, the most important step you must take is to seek medical help and then follow all suggestions for treatment made by your doctor(s). Keep in mind, when you apply for LTD benefits, your application must include evidence proving that you sought medical treatment for your disability and made an effort to get better. Also, it’s important that you seek treatment from an appropriate medical professional, depending on the nature of your disability. For example, if you are suffering from depression, you should be diagnosed and treated by a mental health professional such as a psychiatrist. In order to be approved for LTD benefits, your application must not only include all required medical details and tests but also, your doctor must explain how your symptoms interfere with specific duties of your job. There are, of course, many other medical conditions that cause symptoms which can make it impossible to function at your job. Also, chronic pain can be associated with a broad range of illnesses and injuries and can in itself, significantly interfere with the ability to work. If you were denied long-term disability benefits and you submitted all the required medical and personal information on your application, your chance of successfully appealing a denied application on your own is very low. 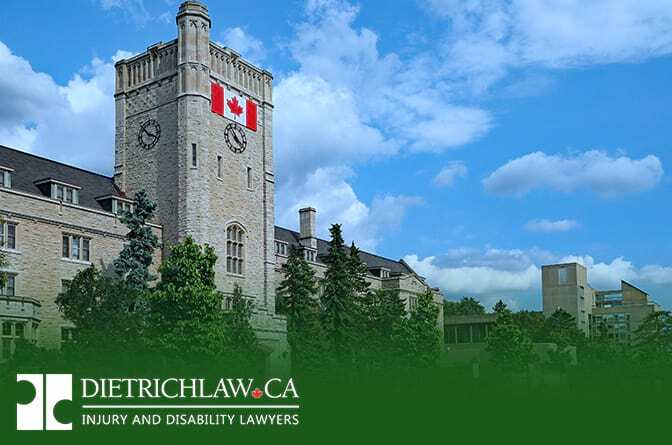 Our Guelph disability claims lawyers at Dietrich Law have vast experience in, and fully understand, the legal requirements in the disability claims process. Call Dietrich Law today and let us resolve your claim as soon as possible.